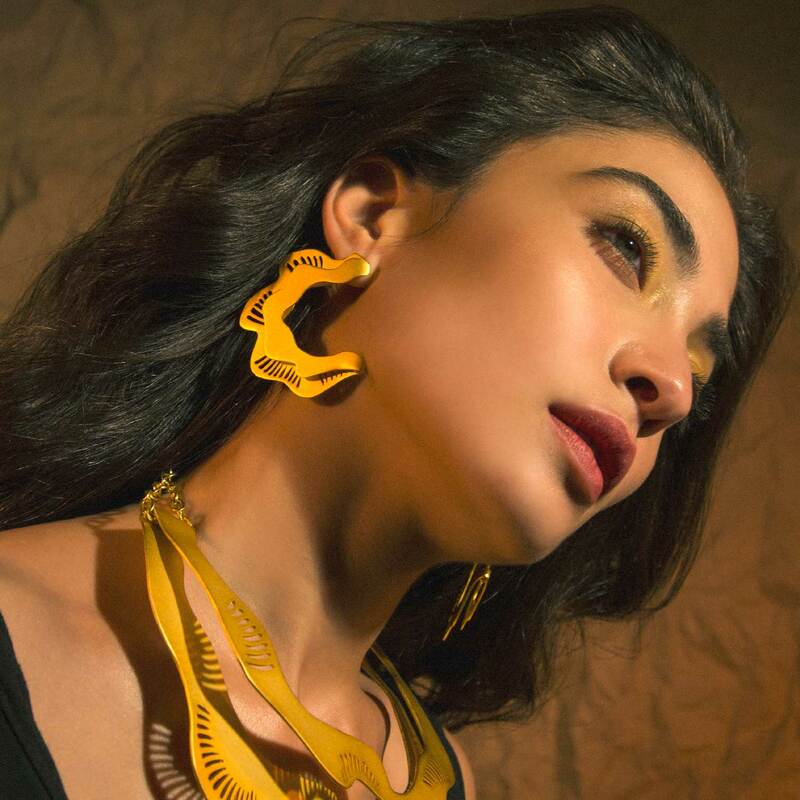 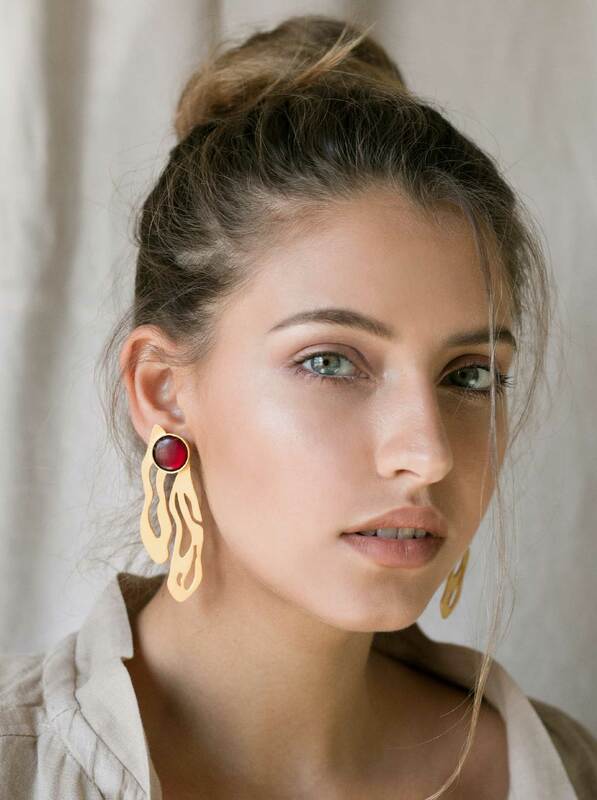 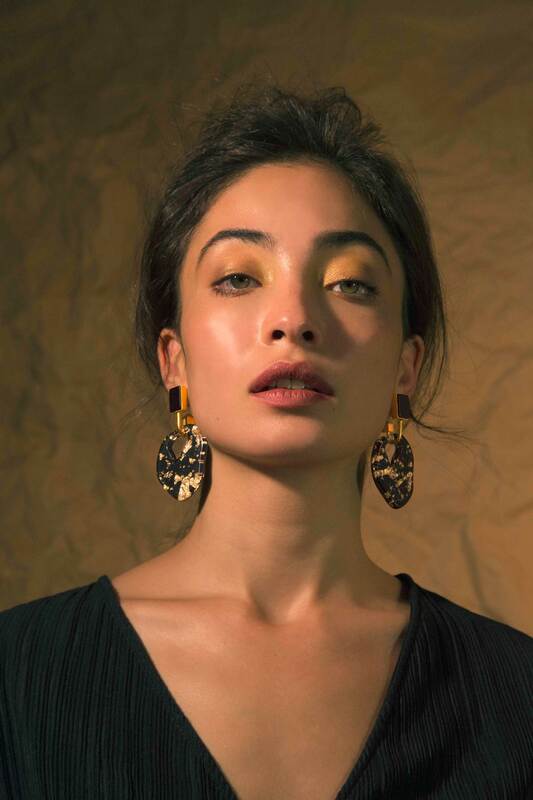 The Sand Dunes Earrings are inspired by the warm sand silhouettes forming as a result of wind blowing softly over the desert surface. 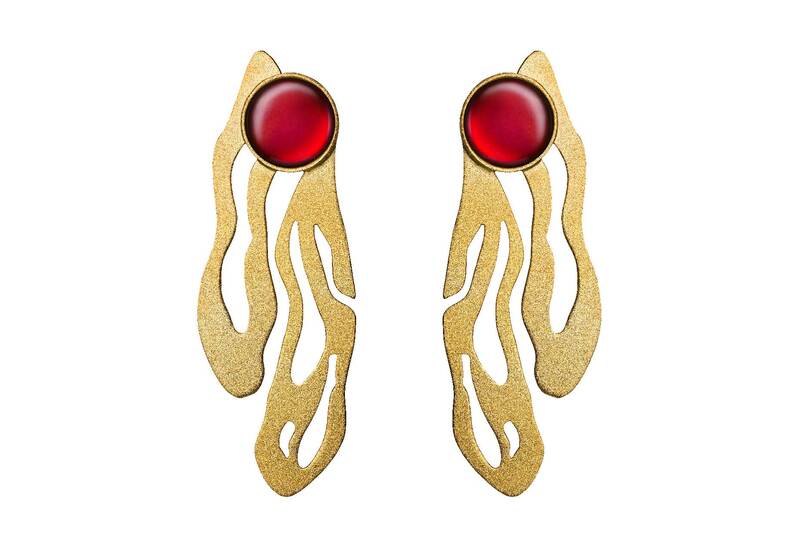 These earrings are a statement pieces of the La Sierra collection. 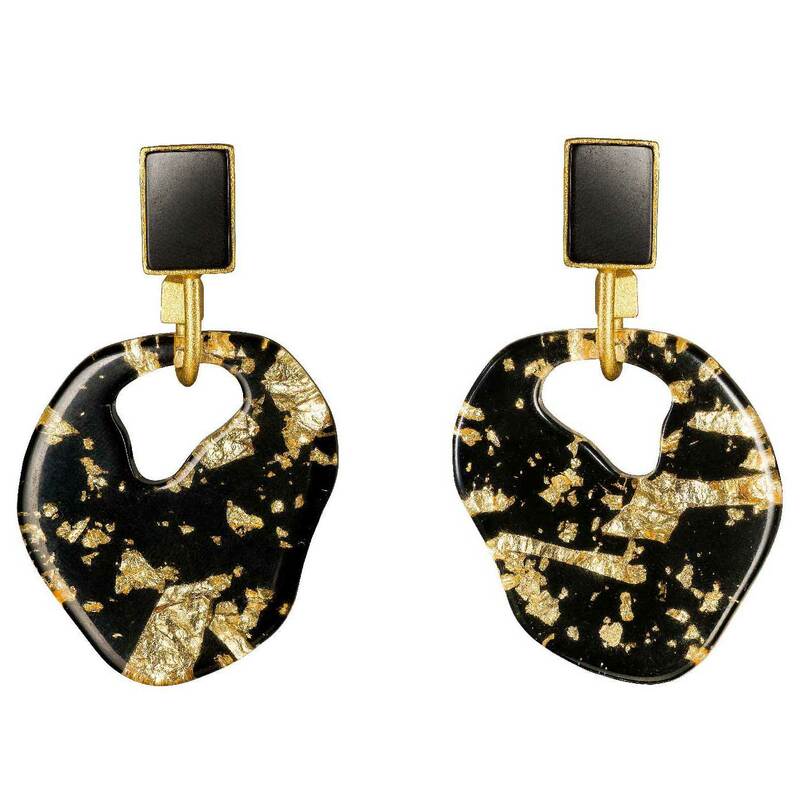 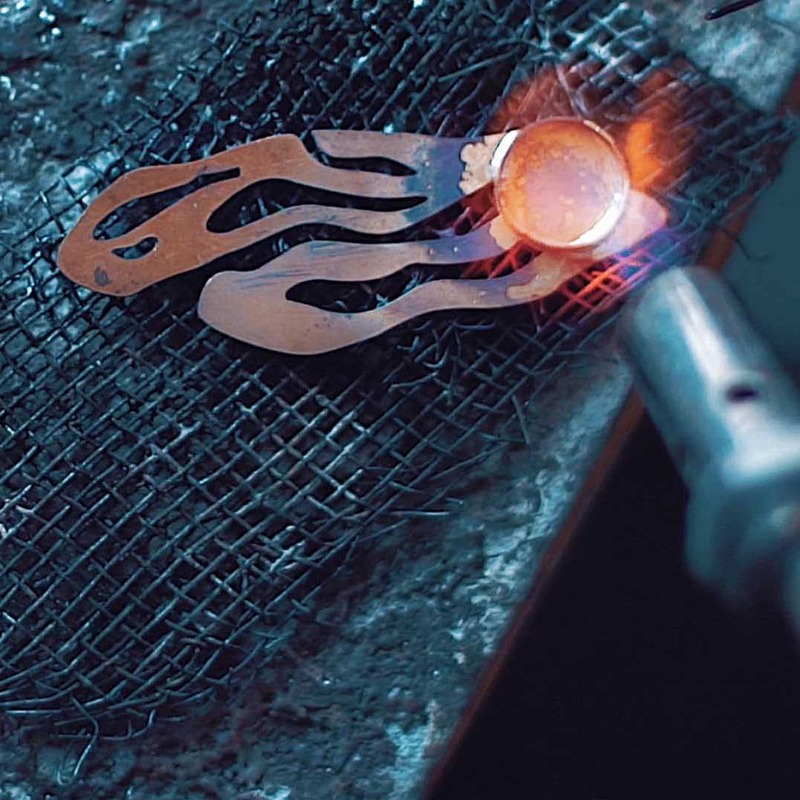 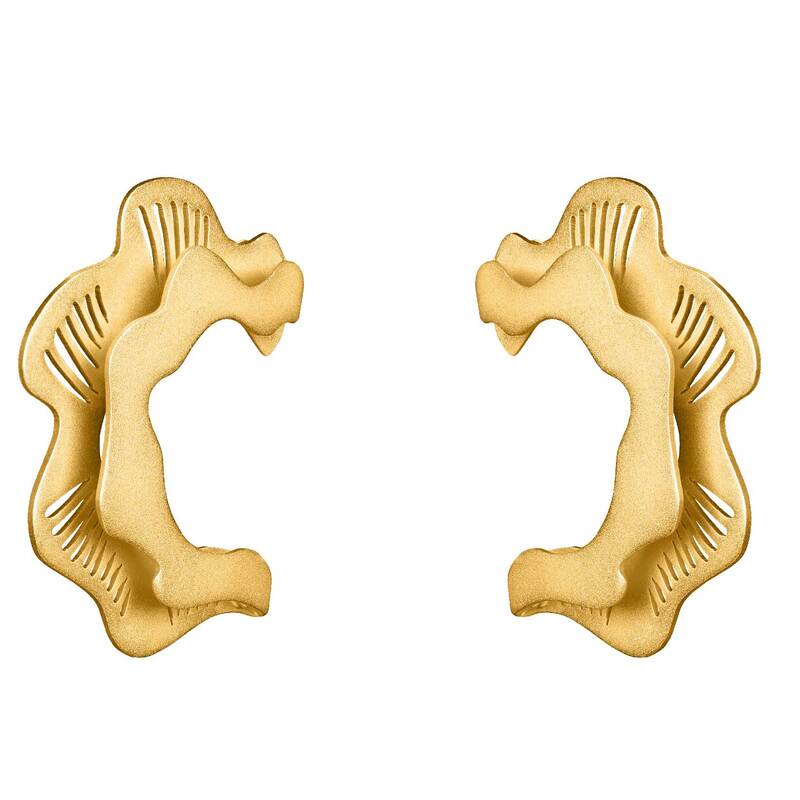 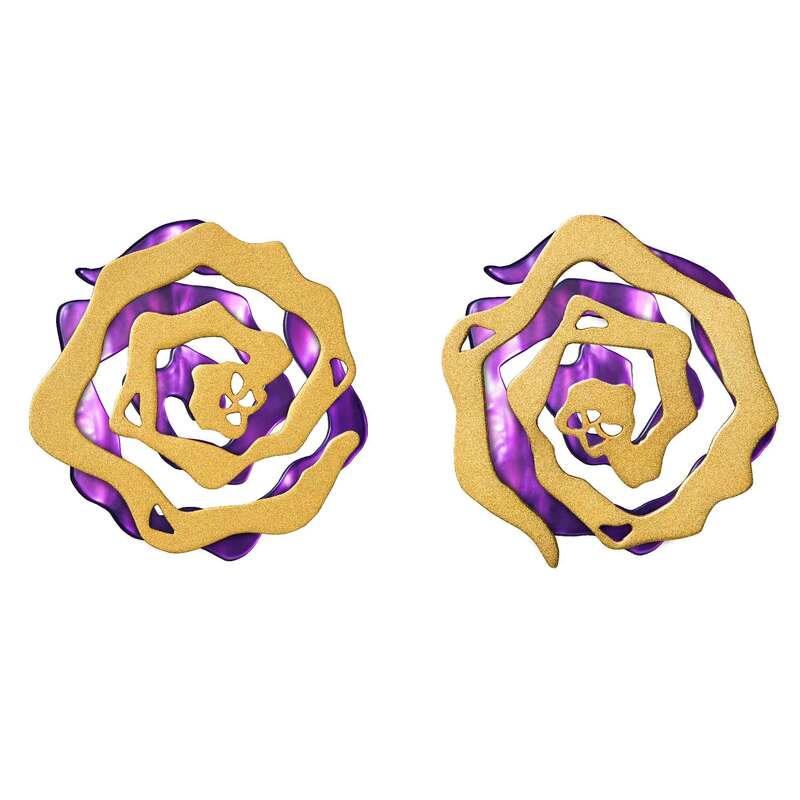 These handcrafted earrings are made of brass dipped in 18K gold with a matte finish and feature cutout detailing. 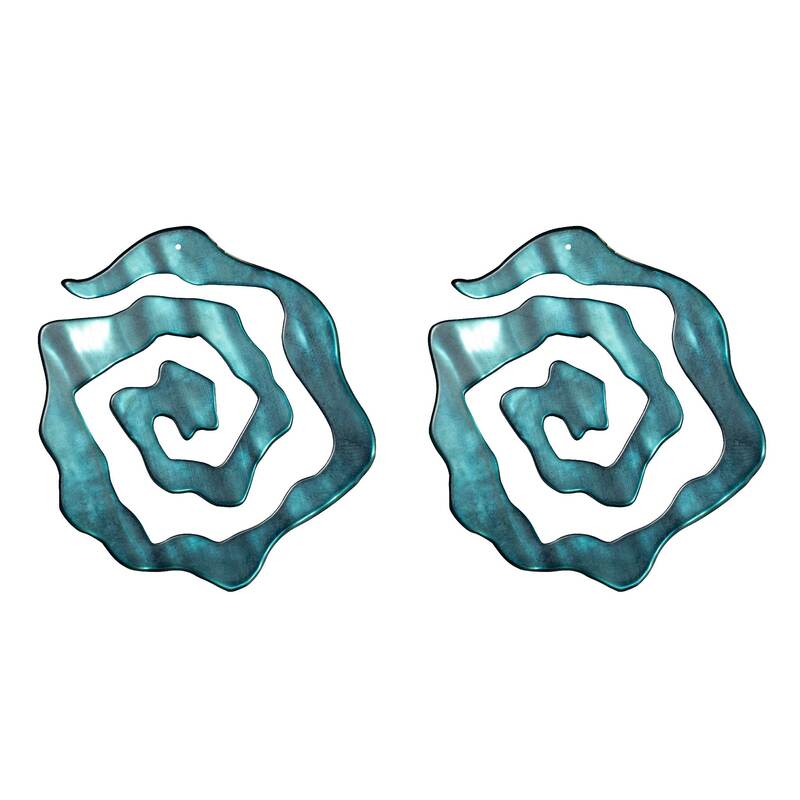 Dimensions: H 6 x W 5.5 cm. 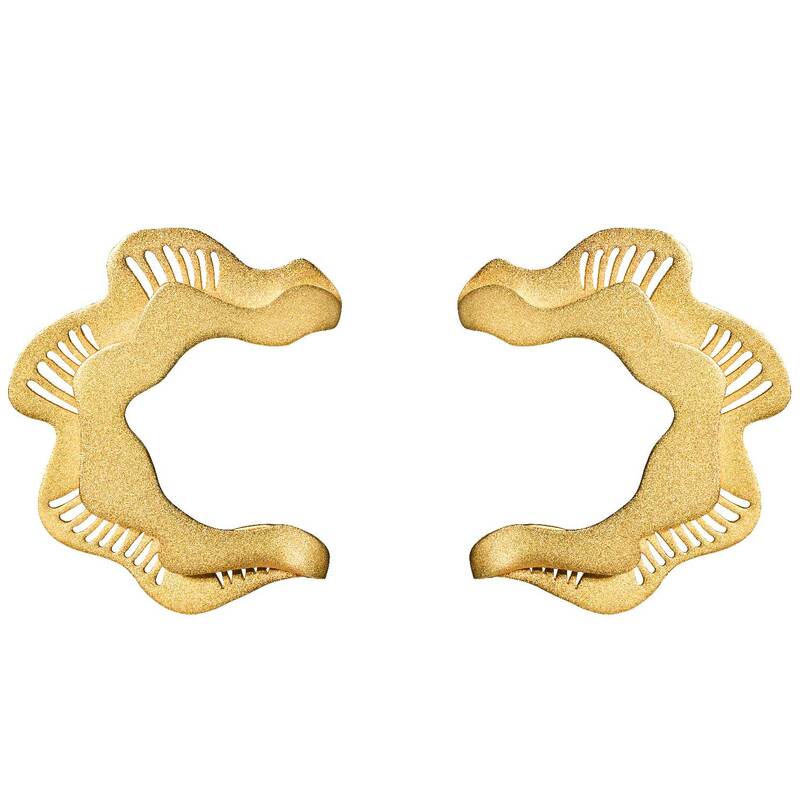 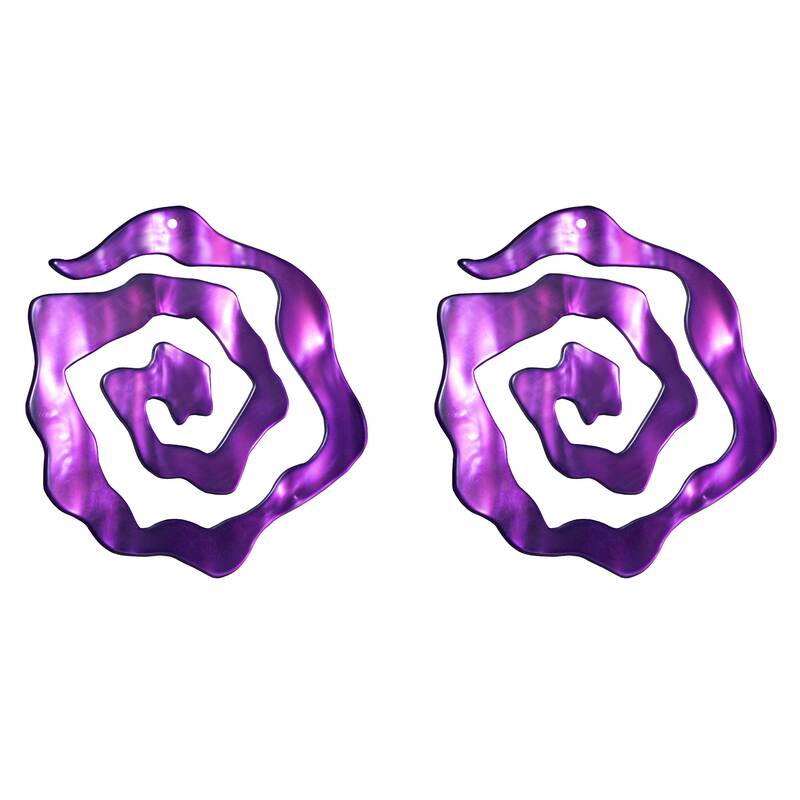 These earrings were made to stand-out, so tuck your hair behind your ears to really show them off.